This month I am introducing a new feature! This feature will present a small biography of the student that has impressed me the most in recent weeks. Read on for this month's Student Focus. From July onwards I will be sending calendar invites (using iCal) in order to confirm lessons. Please make sure the invitations are accepted. Each invite will contain information on cancellation policies and contain a link to full terms and conditions on my website. As I conduct the majority of my business from home I have a duty to respect the comfort of the people I live with. Most students attend at a time of day where there is no one but myself in the house, but as I become busier it is more likely for lessons to be conducted later in the evening when my partner and lodgers may be back from work. Moving forward I must ask that if your lesson takes place past 5:30pm that any parent or guardian attending the lesson either sits in the lesson for its duration or remains outside the property until its completion. There maybe one off days when someone else is working from home and, if this is the case, I will ask the same. ​I started teaching Mirabelle about 2 and a half years ago when I was working for Five Dock Music School. When the school closed its doors we were given the opportunity to retain our students privately if they wished to carry on lessons. Mirabelle stuck at it for another 6 months and, then while the family completed the building of their new house, she decided to take a little break. About 9 months later I received a call from Mirabelle's Mum saying she'd recently picked up her guitar again and was itching for lessons! Ever since she has been making strides week on week, surprising herself at what she can play! 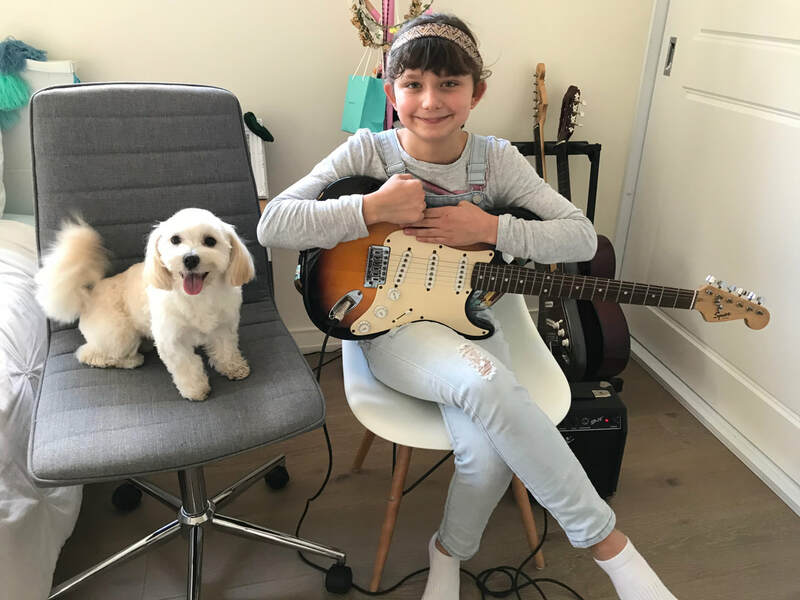 I think both her Mum and I realised that playing the guitar was something she loved when she started to teach herself songs outside of the lessons. We've recently been working on songs by Dua Lipa, Anne-Marie and AC/DC's Back in Black! We'd only done one lesson on Back in Black and she had the confidence to play it in front of her class at school! 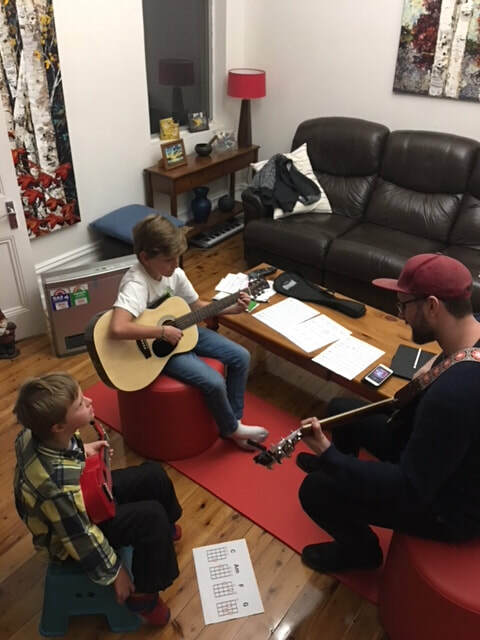 Now that we've got all the rhythm and riff parts learned we've just started on learning the solo, I can't wait to see her face when she realises she can do it! I'm pretty sure she's sneakily learned some Metallica along the way without me helping her too. Her effort and quick progress makes Mirabelle the subject of my first 'Student Focus'.